Embark on a bold voyage across a distant galaxy in a new sci-fi adventure from the publisher of Far Cry 5 and For Honor. 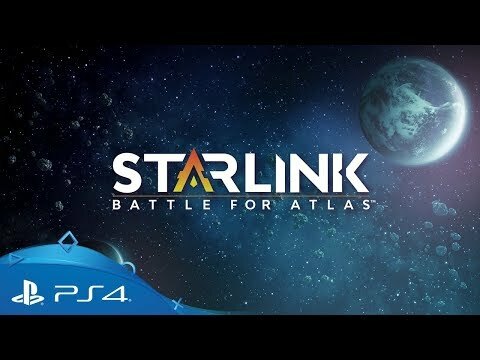 Lead a heroic team of interstellar pilots to free the Atlas star system from the Forgotten Legion in sci-fi action adventure Starlink: Battle for Atlas. Innovative modular toys that interact directly with the game allow you to build unique starships which can be customised on the fly. Adapt to and overcome any challenge you encounter using carefully optimised ship designs in this vast open world adventure. Invite a friend to join the campaign seamlessly at any time with two-player split-screen local co-op. Combine different loadouts for the strategic edge and save Atlas together. Travel through the exotic alien worlds of the Atlas star system, each with their own ecosystem, wildlife and secrets to uncover. Ally with factions to push back the enemy threat of the Forgotten Legion. Craft your very own star ship, customising wings, hulls, weapons and pilots to match your playstyle. Experiment with loadouts in real-time and get creative in combat, unleashing devastating elemental combos on who or whatever you encounter in the Atlas star system. As you journey through Atlas, develop your pilot skill trees, mod your gear and upgrade your mothership using a deep system of RPG mechanics, each further expanding your powers and shaping your adventure.